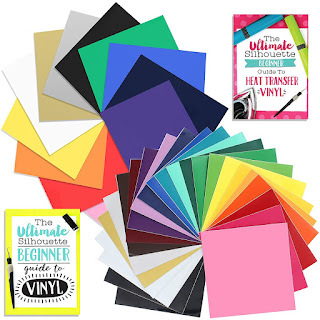 Everything you thought you knew about cutting and transferring heat transfer vinyl goes out the window when you're working with HTV that does not have a transfer sheet. 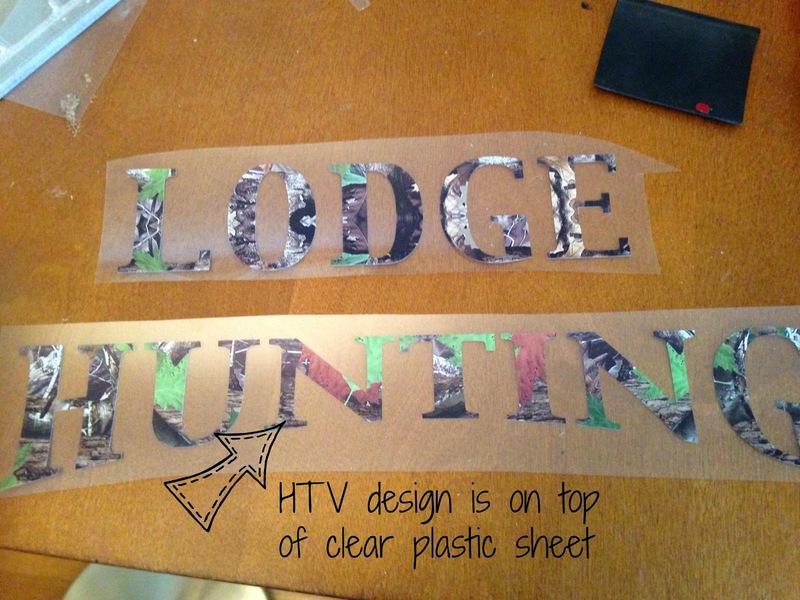 Most of the time HTV comes with a transfer sheet, but if you're working with specialty or patterned HTV like I was recently with this hunting camo it may not come with a plastic transfer sheet. The vinyl I was using had a plastic sheet with it, but it was on the back side of the HTV...not covering the front as it usually is if you buy Siser Easyweed. 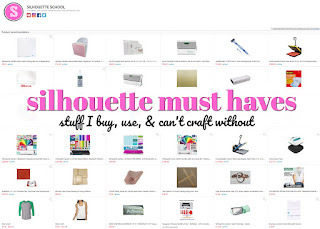 This presented a few challenges....and so I had to find a few workarounds to deal. 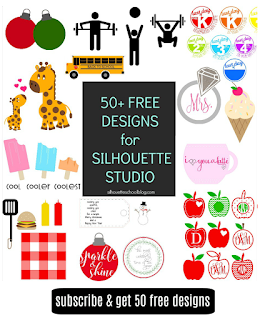 First of all you are NOT going to mirror your image in Silhouette Studio. 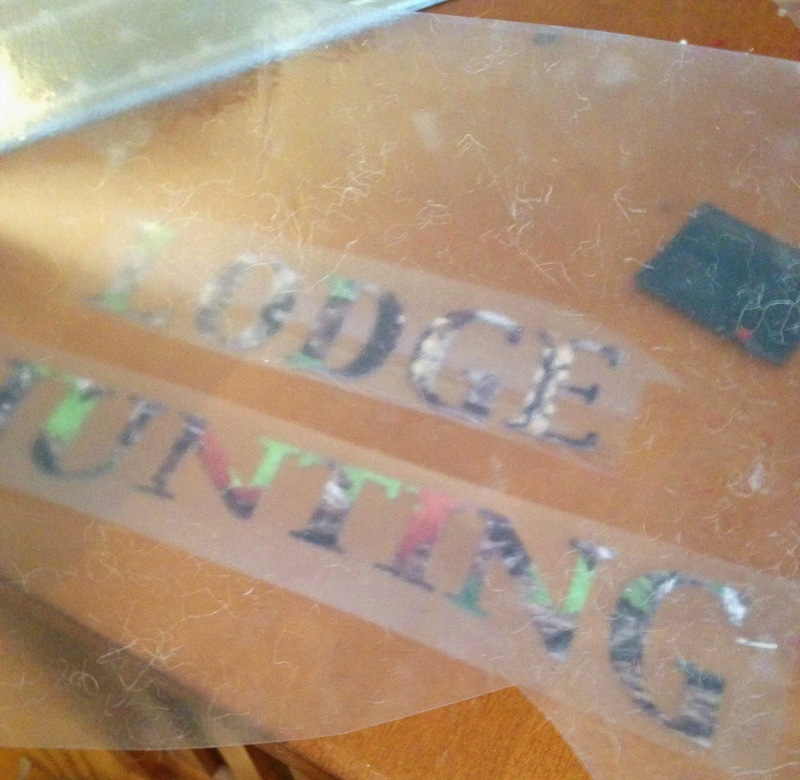 If your HTV is like mine was and the plastic sheet is on the back you want to put the shiny side down (and the patterned side face up) on your cutting mat. Since you're cutting with the patterened side up if you mirror your image, as you normally would with HTV, it will end up backwards on your shirt. So don't mirror your image, just cut it like regular vinyl. 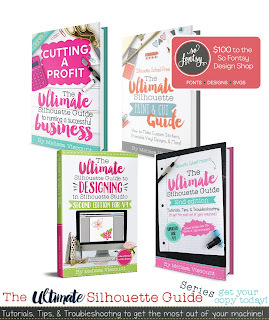 Now what you have is your design you'll notice that the sheet is actually on the back of your design and it's not sticky. 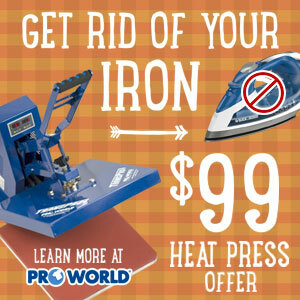 If you place it onto your shirt to iron it on the sheet will be against the shirt, not the HTV = problemo numero uno. If you flip it over and have the sheet up so that the HTV is touching the shirt...you'll be looking at the back/adhesive side of your HTV = problemo numero dos. I laid the transfer sheet on top of the patterned HTV with the sticky side touching the htv. So what you have now is an HTV sandwich between two pieces of plastic. It's easiest to see this in the bottom right corner of the image below. Grab your Silhouette scraper and rub, rub, rub. You want the htv to stick to the sticky vinyl backing that you just put down so that you can pull it off the backing it came on. Flip the HTV sandwich over and carefully remove the original backing...the point is to have the HTV stick to the sticky transfer sheet that you just placed on there. 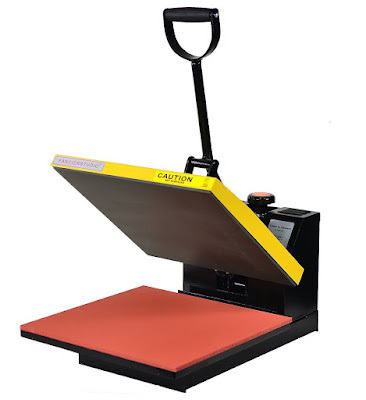 NOW you have a transfer sheet on the top of your HTV design that you can use to place the design on the shirt and remove after it's adhered with an iron or heat press. Speaking of heat..you have to crank it up. Most smooth HTV is adhered with the heat at 305 degrees...but this stuff needs an extra 15 degrees. I had to crank my heat press up to 320 to get it to stick, as per the manufacturer directions. Now it's also best to have a lot of pressure and keep all necklines, seams, or snaps out of the way. When I did my test run on a onesie I had a hard time to getting this htv to stick because the seams and snaps create a tiny gap/bulge preventing the top plate of the heat press from completely closing onto the fabric. But when I pressed the design onto this shirt it worked perfectly when I ensured the neck line and arm seams were hanging off the plate so my surface was completely flat. I'd also recommend you flip the shirt inside out and press again from the inside to draw the HTV further into the fabric. My friend bought some HTV and asked me to cut some stuff out for her using my Curio. But, like you mentioned in this post, it doesn't have the front transfer sheet. 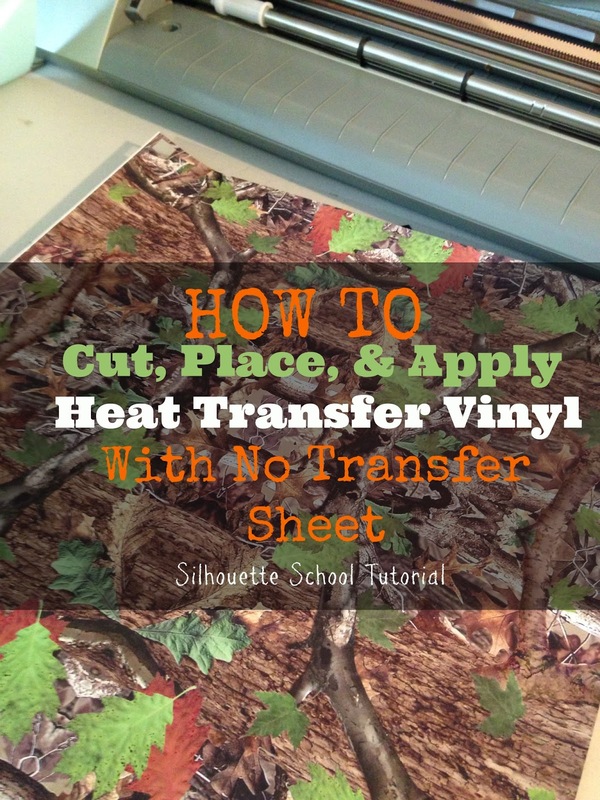 I have some transfer paper I use with regular vinyl. Do you think that would work? I haven't done any HTV in awhile, so I have no waste to use for this. Also, it is glitter vinyl and has the bumpy glitter side, which I assume is the front, and a smooth side. I hope that the bumpy side is the front, would you say so? Let me know your thoughts. Thanks so much! Can you tell me what settings you use to cut the HTV without the transfer sheet. I cannot get my cameo to cut it and I am so frustrated! Can you please tell me a brand or a link to a transfer sheet for this type of vinyl, if I have not saved any previous sheets which I have not. 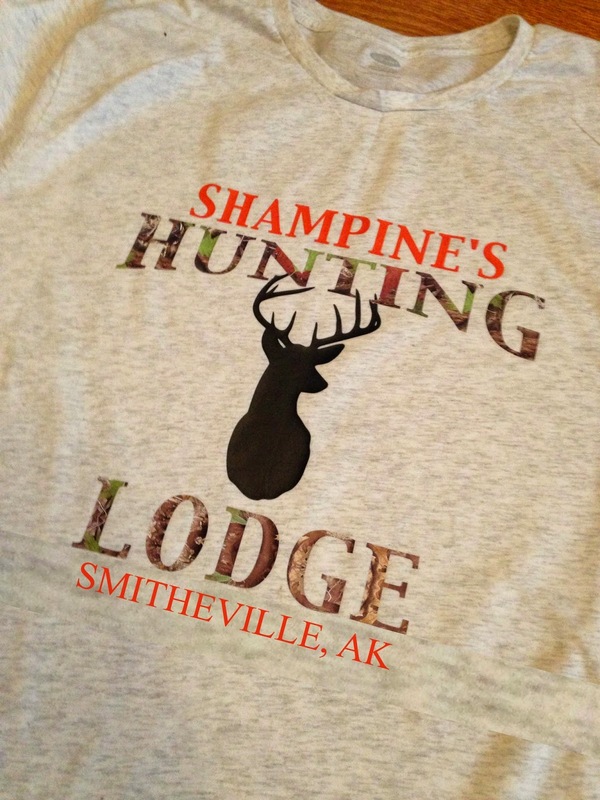 Is that supposed to be Smitheville, ARkansas?? 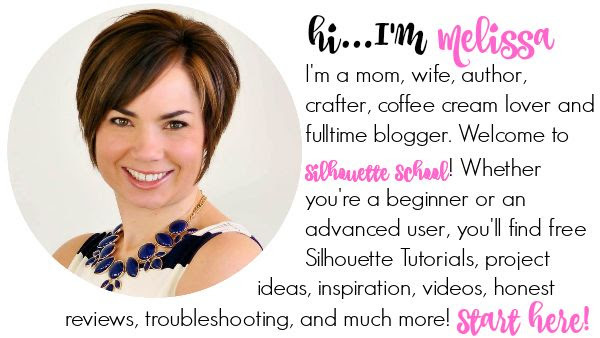 This Alaska (AK) girl has never heard of Smitheville. can I use HOTFIX TRANSFER TAPE for rhinestones as transfer tape, is it the same thing? What do you recommend using to transfer HTV if we don't have any left over backing laying around? What material do you recommend using to transfer the HTV if we do not have any leftover backing?